Preaching today is anemic at best and thoroughly unbiblical at worst! There is a solution! Learn from the past about what makes great preaching! Mariano Di Gangi has helped us by looking at the Puritans on preaching. Di Gangi, author of the new book Great Themes in Puritan Preaching from Joshua Press, is well known in Evangelicalism today having served in a number of well-known churches and taught in a number of schools. He received his M.Div. from Westminster and a D.D. from Gordon Conwell. He was written a previous book on the Puritans titled, A Golden Treasury or Puritan Devotion (P&R, 1999). With recommendations by Derek W. H. Thomas, John MacArthur, Jerry Bridges, and Joel R. Beeke and a forward by Michael A. G. Haykin, this book is surely to become a big hit! On a side note, Joshua Press will be distributing 6000 copies of this book to the Together for the Gospel 2008 conference attendees! Below is the introduction of the book reproduced in whole to whet your appetite and encourage you to go out and buy this book (reprinted by permission of Joshua Press)! It is available from Sola Scriptura Ministries International. It is available in paper back or hard cover. Check out the website for Joshua Press for their other titles. Undoubtedly, there may have been Dissenters whose extremist excesses produced intolerance rather than renewal in the turbulent decades that followed the Reformation. The fact remains, however, that “Puritanism aimed at a radical purification and reconstruction of church and state on the sole basis of the Word of God, without regard to the traditions of men… Radical in its antagonism to the medieval church, it was a revolution and it ran into the excesses of a revolution. The Puritans were people of austere morals, reformed in doctrine, and nonconformists in practice when confronted with the imposition of ceremonies and customs not commanded in the Scriptures. Puritan preachers did not major in minors. They would not trivialize the tremendous truths that had the power to change lives. Building on the Nicene Creed, the Apostles’ Creed, and the Christology of Chalcedon, they strongly opposed Pelagianism, Arminianism, and the Socinianism that eventually spawned Unitarianism. They also differed from the Antinomians who depreciated the authority o God’s moral law. Now would they compromise with the Semi-Pelagians who diluted the gospel of sovereign grace with doses of human merit. The Puritans were noted not only for viewing the text in its context, and so avoiding a pretext, but also for comparing and contrasting biblical passages in such a way that Scripture was used to interpret Scripture. They knew how to distinguish between history and allegory and looked for Christ in texts that were typological. Above all, they believed that God’s eternal Word was timely and trustworthy. It spoke to the ethical, social, and doctrinal issues faced by God’s people in every generation. When the inspired Scripture is illumined by the Holy Spirit, it has an undoubted perspicuity. 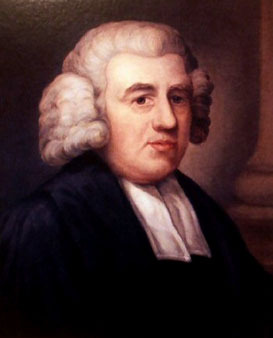 Many of the Puritan pastors and leaders were prepared for the gospel ministry by their studies at Oxford or Cambridge. They preached the incarnate Word from the written Word with prayerful dependence on the Holy Spirit and a clear sense of purpose: that God would be glorified as people repented and believed the gospel, and then obeyed Christ in the fellowship of his church and in their daily work in the world. In all this, they were continuing the ministry of the Reformers and the Lord’s apostles before them. At that first Pentecost after Christ’s resurrection, when the Holy Spirit came with power upon those praying disciples, Peter did not dwell on his experience of glossolalia but proclaimed the Lord Jesus–his humiliation and his exaltation. Peter summoned people to repentance and offered them the forgiveness of sins through the work of Christ, as well as the gift of the Spirit. Paul was also devoted to preaching Christ, particularly Christ crucified, the Saviour who paid the penalty of our sins and opened the way for us to have peace with God. Preaching is not universally held in high esteem these days. It is often depreciated, especially by those who lack the discipline and passion to do it well. A pastor’s day can be so involved in matters of secondary and even tertiary importance that the priority of preaching the Word is crowded out. Administration, visitation, counselling, and community relations have their place, but they should never rob the communication of the Word from its place of primacy. When this happens, the consequences may be catastrophic. “The days are coming,” declares the Sovereign LORD, “When I will send a famine through the land–not a famine of food or a thirst for water, but a famine of hearing the words of the LORD” (Amos 8:11, NIV). Let all who are called to feed God’s flock renew their commitment to preach the Word in season and out of season, correcting, rebuking, and encouraging, with great patience and careful instruction (2 Tim. 4:2). The Puritans provide us with a model of faithful biblical preaching. There are those who compare the multiple headings and abounding subdivisions of a typical Puritan sermon to the bones Ezekiel beheld in the valley of his vision: they were many, all were dry, and definitely quite dead. Undoubtedly, some of their homilies would have benefited from sensitive editing. But such criticisms say more about the shortness of the average listener’s attention span today than they do about a Puritan pastor’s supposed prolixity. True, they produced sermons replete with introductions, expositions, clarifications, objections, exhortations, dehortations, illustrations, applications, doctrines, duties, invitations, promises, warnings and consolations. Yet we can derive lasting benefit from focusing on the insights of these biblical preachers. In studying their sermons, writings, and lectures, we will be enriched as their homiletical heritage prompts us to persevere in the reading and teaching of the inspired Scriptures. Dr. Michael A. G. Haykin just presented a paper titled, “The Life of John Newton, with particular reference to his hymns and letters” at the monthly Sovereign Grace Fellowship Pastoral Studies being held at Toronto Baptist Seminary. Here is a PDF of that paper for you all! Fuller rightly responds to people who want to be part of a broad religious group without a commitment to their local church. It seems the problems we face today existed in Fuller’s day just the same. The following entry comes from The Works of Andrew Fuller, III:797. So please, check out his post here and give him your best Calvinist myths! The Sovereign Grace Pastor’s Fellowship (formerly known as FRPS) will be holding it’s November 19th meeting at Toronto Baptist Seminary with Guest Lecturer Dr. Michael A. G. Haykin. Details are below. FREE LUNCH PROVIDED FOR ALL PASTORS. Also, don’t forget the upcoming Sola Scriptura Ministries International Conference – “The Dungeon Flamed with Light: The Great Awakening in the 18th Century” also featuring Dr. Haykin. You can check it out on a previous post here. You are currently browsing the Working out Salvation with Fear and Trembling blog archives for November, 2007.